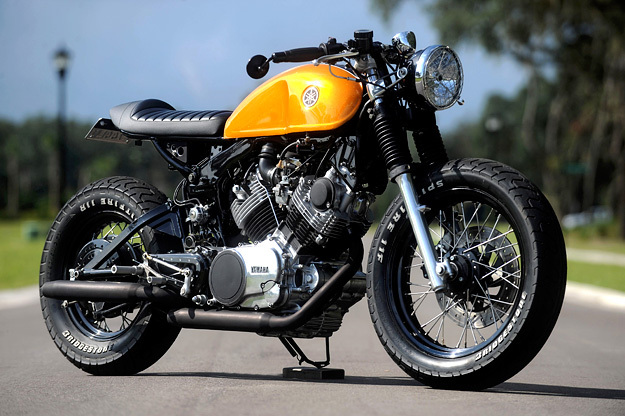 The underrated Yamaha Virago from the 1980s is really gaining favor as a custom base. 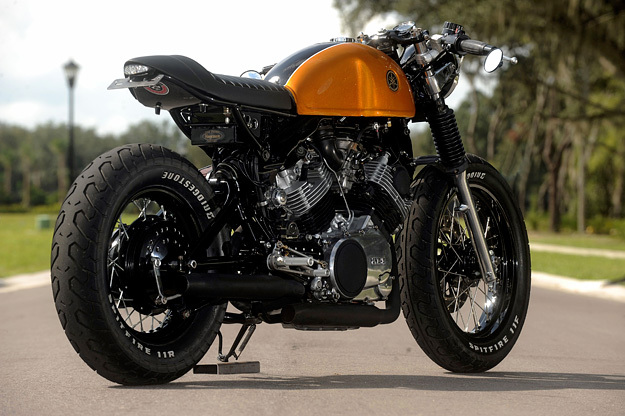 Classified Moto have already shown the way, and here’s another terrific example—this time from Greg Hageman of Hageman Cycles. 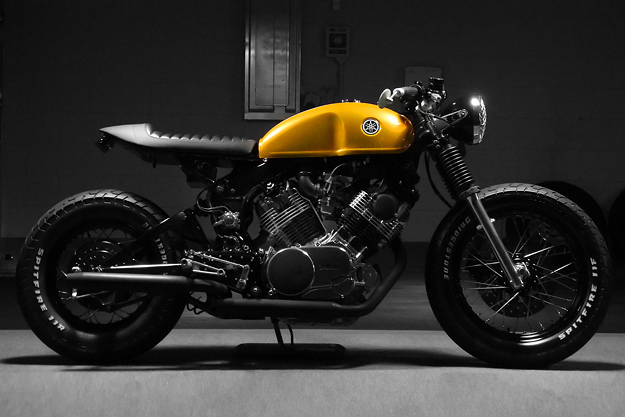 It’s a 1982 Yamaha XV750, and it was built for Season Two of Discovery Channel’s Cafe Racer TV show. Hageman built a new subframe to support the lovely, wasp-like seat unit, and lowered the forks by two inches to improve the stance. There’s a Tarozzi fork brace to tighten the handling, along with Tarozzi rearsets and clip-ons for a better riding position. At the back is an adjustable, air-assisted shock and a simple Acewell unit has replaced the standard instruments. The engine internals have been left alone, but the stock Hitachi carbs have been rejetted, fitted with K&N filters and matched to a free-flowing Mac Performance exhaust. Tires are Bridgestone Spitfires. Most of the metal has been subdued with a matt black finish, and the result is simple and stylish. 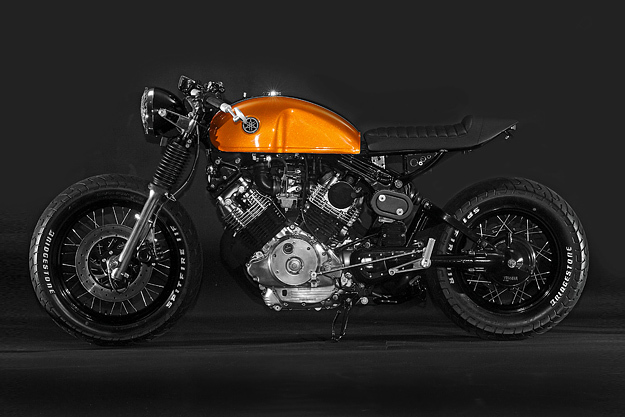 Is this the perfect twenty-first century café racer? Hageman Cycles | Images by Erick Runyon. 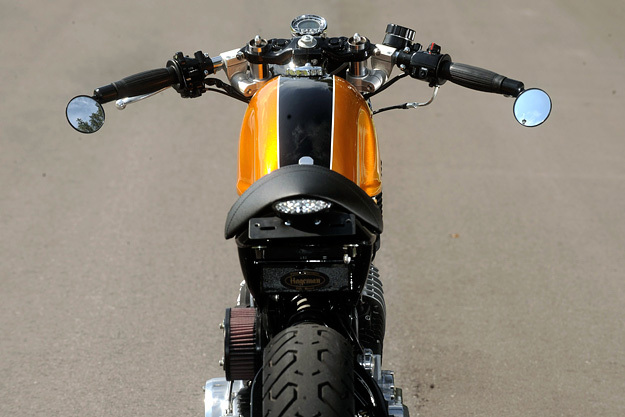 Via Return Of The Cafe Racers.